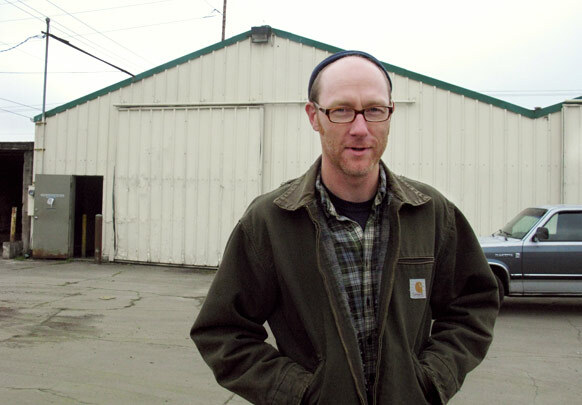 Van Havig ’92 takes on a Gigantic brewing operation at the corner of SE 26th and Steele. Van Havig ’92 can’t wait to start experimenting with yeast. That’s a funny thing for one of Portland’s most accomplished brewmasters to say, given his expertise in Belgian-style, barrel-aged, and sour beers—all of which rely heavily on the moldy microbe. Portland beer drinkers are hoisting their steins for Van’s latest venture—the Gigantic Brewing Company, slated to open in January on SE 26th and Steele, a short hop from the Reed rugby fields. Gigantic is the phoenix rising from the ashes of Van’s abrupt departure after 16 years as brewmaster at Rock Bottom Brewery. Excitement is bubbling among local hopheads because Van is teaming up with another renowned Portland brewer, Ben Love, formerly of Hopworks. In the meantime, the pair have a lot of work to do. The interior needs to be gutted and reconstructed to support brewing operations. “Unless you’re moving into a slaughter house, almost nothing has sloped floors and trench drains,” he says. Don’t expect the Pacific Northwest’s most common beer—India Pale Ales that Van says typically aren’t “usefully creative” because of their heavy reliance on hops. Instead, look for a thoughtful focus on beer’s least gigantic ingredient: the humble yeast.